I have known for a while that my heart and my head were not in agreement over the Santa Claus issue. 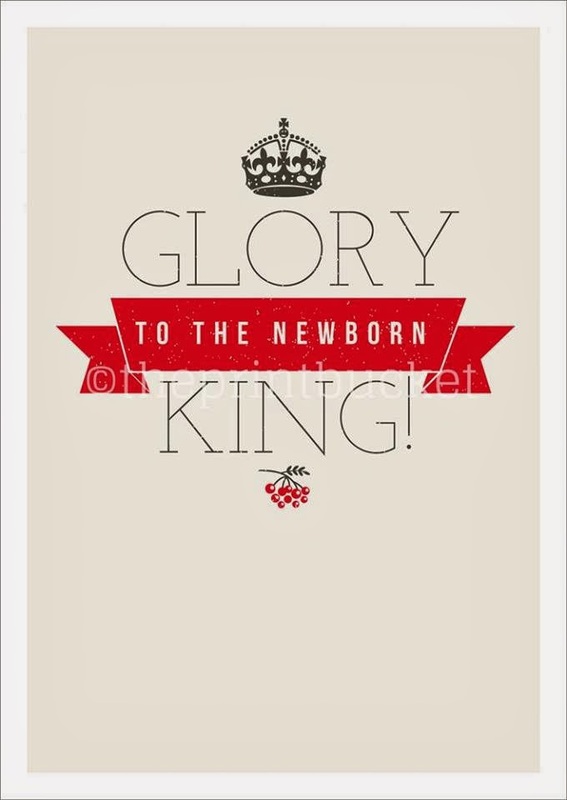 I want to save my childhood tradition and yet knowing it interfered with the true meaning of Christmas. So… I prayed that God would show me the way to go. I started out by asking other Christians what they thought about Santa Claus. As you can imagine, I got a variety of answers. However, the one by which the Holy Spirit used to touch my heart the most came from a close friend. She told me about believing in Santa as a child and all the joy it had held for her. When she was seven, her parents told her the truth about who Santa really was. She was devastated. The revelation caused such a lack of trust towards her parents that she began rethinking everything her parents had ever told her. She even questioned the truths about Jesus. Was He a fake too? 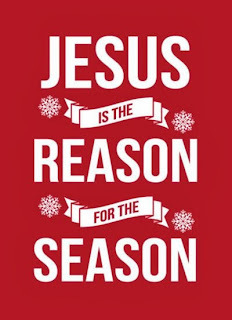 For me, to keep endorsing Santa in my traditional way would be continuing to promote the same lie and distracting from the true meaning of Christmas, the birth of Christ. The Santa of today has developed into a giving machine for our materialistic desires. Santa can give us anything we desire if we are good. In holding on to this tradition, aren't I leading others to believe that earthly figures can produce the same supernatural results as God Himself, if they only believe. Is that really what I want to portray in the end? Why should I promote the lie when I can promote the real thing? Jesus IS the only true giver of everlasting love, peace and joy. 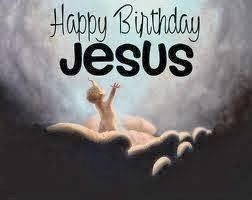 Jesus came to give us life and to bless us abundantly. When we receive Him into our hearts, we have an eternal relationship without any more shame, guilt, and condemnation ever again. His blessings of healing, protection and provision are not dependent on whether we are naughty or nice. Jesus is the true miracle worker. Honestly, I feel like Santa has to die in my heart again like he did long ago. The feeling of not wanting to let go tells me Santa is a stronghold in my life that needs to come down. 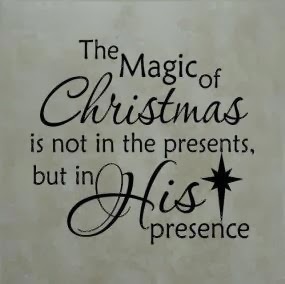 I desire Christmas to be about the supernatural birth of my Savior not the world’s materialistic Santa. I want to tell the world that God loved mankind so much that he initiated the process to save all from the power of sin through His son Jesus. I am letting go of the false now. Truth and its lasting joy is flooding my soul with peace and fulfillment. Thank you Jesus for Your patience in the process. Can I inspire that joyous expectation without Santa Claus? Sure I can. It may be a challenge. However, if I seek God’s ways, His creativity will inspire the way. Thanks for your insight on this issue. It's a tough one. You did a great job in giving your readers lots to think about. Blessings on your Christmas celebration. Thanks my friend. Merry CHRISTmas! Mary Jane, this is a thorny issue for many. We swing from not wanting to perpetuate a myth and having our children feel included in the excitement of the season. When my children were young we used to say that only their stocking gifts (all very small and simple) came from Father Christmas and the others from relatives/friends. It helped them to have lower hopes and expectations! Now, as a newly fledged grandma, I guess I will follow whatever path my son and daughter-in-law decide to take. Though as Christians themselves, their emphasis will be mainly on Jesus as it always has been with us. Yes and with joy, I will follow my children lead as well. I think in the end, balance is the key here. Merry Christmas to you and your family! Loved your post, Mary Jane. Each of us must stand firm in how the Lord convicts us. I kindly listen to children when they talk about Santa but I do not add to the conversation.I don't make negative comments. I do try to steer the conversation back to Jesus.